Enjoy a super-chill cruise ride on the beautiful Danube River from Bratislava to Vienna! If you plan to visit the Slovak capital on your stag trip, you should definitely not miss the opportunity to check-out the nearby Vienna as well. One of the most beautiful towns in Europe has been consistently named one of the top cities in the world to live in. And this just comes as a no surprise really – beautiful architecture, rich historical heritage, clean and stylish. 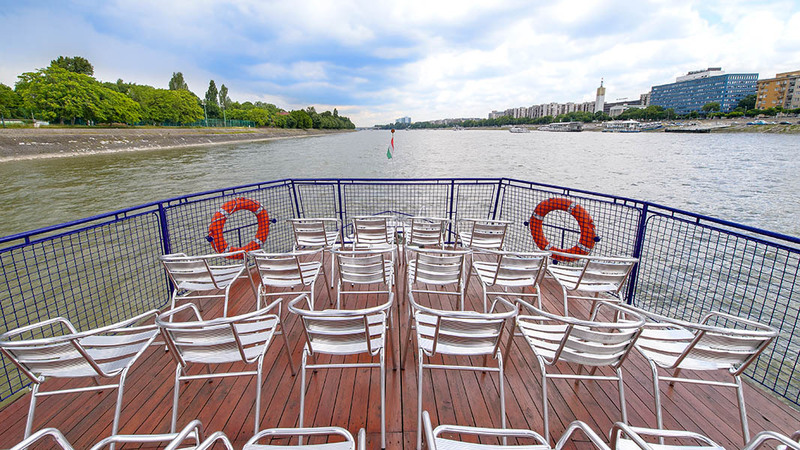 The river cruise from Bratislava will also allow you to give a romantic farewell to Bratislava and enjoy nice views at the historical center from the river perspective. Danube is a very strong river and the cruise upstream therefore lasts a bit longer than you might expect, but this gives you a perfect opportunity to chill out and relax before you immerse yourself into yet another crazy adventure. You can also count on the company of our local guide during the boat cruise.